Carved Lake Art Sells Custom Wood Art Ranging From Wall Clocks, and Coffee Tables to Laser Cut Depth Charts of Your Favorite Bodies Of Water From America and around the Globe. Oregon Coast runs from north to south, making the western border of the US state of Oregon. Sitting along the Pacific Ocean, Oregon Coast stretches about 362 miles from the Columbia River in its northern part to the California state border in the south. One of the most diverse regions in the US, Oregon Coast has three sub-districts with its own rich history and culture. Even without any legal boundaries, locals consider their region to have North Coast, Central Coast, and South Coast. The most amazing thing Oregon can share with the world was the Oregon Beach Bill of 1967, which allows free beach access to everyone. This allows private beach landowners to keep their beach but removes their tax obligations. In exchange, the beach landowners will allow pedestrians to have easy access to the beach. Preventing beach landowners from building on the beach is one of the greatest highlights in this bill. And the results of their dedication to having a pristine coastline are clearly evident today. 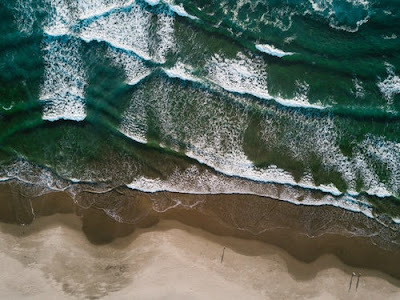 Oregon coastlines remain free and public, without any hassles from commercial buildings and other establishments in the beach. Which only means one thing; people can really enjoy their time in the sand and comb the beach for agates or glass floats. If you really want to be with the beach and waves, Oregon Coast is a perfect rejuvenating destination. There are a lot of things to do while visiting Oregon Coast and aside from its sandy beaches, the region is also known for its rugged cliffs, amazing marine life, historic lighthouses, charming seaside towns and a lot of scenic state parks. You can start your vacation in the most photographs landmark in Oregon Coast – Cannon Beach. It’s one of the top must-sees in Oregon Coast. Behold its beautiful scenery and majestic view where the waves and mountains meet along the shorelines of Oregon. If Mother Nature permits it, you may find Haystack Rock more stunning, protruding about 235 feet out of the Pacific, it’s quite a view even in pouring rain. As the largest city in Oregon, Portland is known for its cool vibe. Today, Oregon has a thriving craft beer scene, where you can find great microbreweries as well as coffeehouses. Don’t worry about where and what you can eat in Oregon, there is a lot of great grub in the region which is famous for their fresh seafood. Make sure to stop by in the famous Washington Park for a leisure walk in its historic grounds. Located at the mouth of the Columbia River, Astoria serves as the home to some of the famous restaurants and luxury hotel in Oregon. When you visit the place, make sure to check the Astoria Riverfront Trolleys and the Columbia River Maritime Museum. But to get a full majestic city view, climb atop of Astoria Column. Marvel how architecture and art can really get well, stop by the Astoria-Megler Bridge to know more about steel frame architecture. For some retreat and physical activity, you can go hiking, biking, camping, and swimming at the Peter Iredale 1096 shipwreck. If you have smaller children in tow, you might want to take them on a slow tour aboard the Oregon Coast Scenic Railroad. This relaxing 1925 train ride has plenty of stops that starts from Garibaldi to Rockaway Beach, famous for its picturesque beach. People line up to get treats and other assortments of pastries at the Beach Bakeshop and make sure to bring their delicacies home with you. To cap off your journey, visit the Heceta Head Lighthouse. Built in the 1890s which still runs today, you can get to witness how the lighthouse keeper keeps this centennial lighthouse working. Exciting Days in Lake Tahoe|3D Nautical Wood Art for the Boater in your Life!